Are You Looking For Aftermarket Dodge Ram Cummins Fuel Injector Sets? Did you know that we here at Taylor Diesel have aftermarket 2005 Dodge Cummins 5.9 fuel injectors for sale? Here at Taylor Diesel, we sell Dodge Cummins fuel injectors. We have found that they optimize fuel efficiency, reliability, smooth operation, engine tuning, emission performance, power output, and the cost of maintenance. And this includes of course our aftermarket 2004.5 Dodge Ram 3500 fuel injector kits. So in case you want to know the best place to purchase high performance Dodge Cummins diesel fuel injector kits, including aftermarket 2005 Dodge Ram Cummins fuel injection kits, then check us out here at Taylor Diesel. 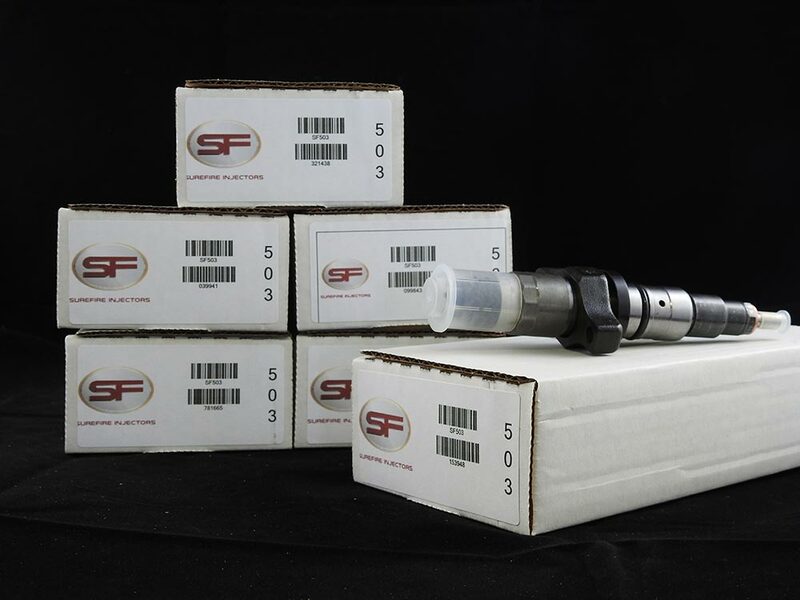 We offer not only Stock Common Rail Injectors; we also offer sets of six Surefire High Performance Fuel Injectors. These will give your vehicle an instance boost in performance of sixty horsepower or even more! And this includes our aftermarket Dodge Ram Cummins fuel injector sets. 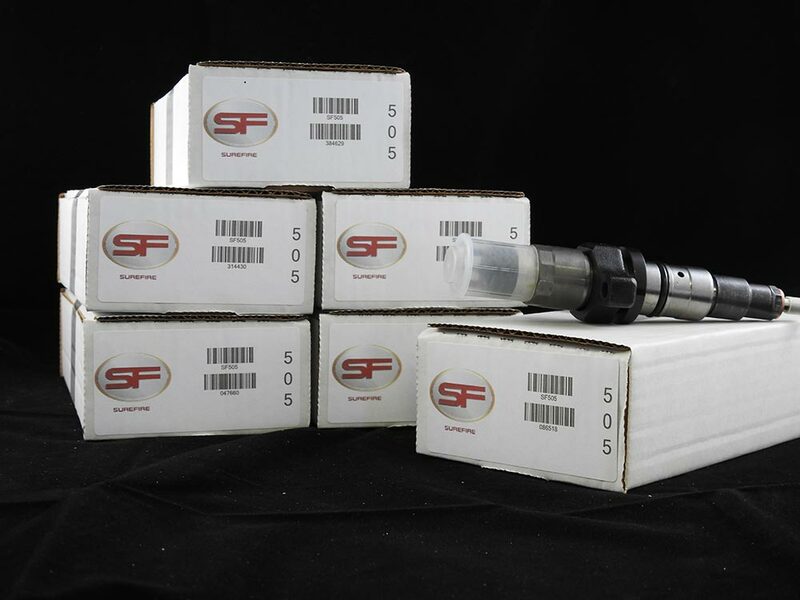 Did you know that we sell injectors which fit the engines for the 2003, 2004 and 2004.5 Dodge Cummins models? And we even sell aftermarket 2005 Dodge Ram Cummins fuel injection kits. Plus all of our Surefire Injector parts have been OEM-tested and they have passed qualified test benches. In addition, all of the parts are tested and calibrated on the original engine manufacturer’s qualified testing equipment. So if you want to replace your failed stock injectors with something that will give your truck a kick in performance, we have aftermarket 2005 Dodge Cummins 5.9 fuel injectors for sale. And our Surefire HR Fuel Injectors can be the perfect replacement. Did you know some of their most vital features? They outperform the competition and without any added upgrades. They can guarantee a boost of at least sixty added rear wheel horsepower. They are made with high performance tips. These are not the cheaper extrude hone tips which can cause metal to flake, or flow in excess or crack. Finally, they come with our own 90-day Taylor Diesel Warranty. Trust Us With Your Aftermarket Dodge Ram Cummins Fuel Injector Sets! What’s So Important about Fuel Injectors? Did you know that your injection is one of the key components when it comes to how your car functions? This is because it injects the needed fuel in a precise amount and at the absolutely correct moment. When your injection system functions well, your truck’s engine works like a dream. But when it does not work so well, your truck might not even run at all! What are the signs of injectors failing? For even a well-maintained truck, the environment in the engine bay is incredibly harsh. Commonly, your injectors could fail due to everyday wear and tear. Plus low quality fuel can be riddled with impurities and contaminants, and they can damage the precision internals. What can bad Fuel Injectors do? You can end up with white smoke emissions through your exhaust system. This indicates that there’s not enough fuel in the engine. Plus contaminated fuel can clog injectors, so that they get stuck in either the open or shut position. Also, when injector tips meet fuel cut with water, the injector tips can even blow off. This can lead to extreme over-fueling and possible damage your engine severely. Don’t risk it. Get an aftermarket Dodge Ram Cummins injector set from Taylor Diesel. Dodge Ram Cummins Fuel Injector Sets Questions? Call us! We would love to hear from you and answer any questions you might have about Dodge diesel fuel injection and full service diesel repair,where to buy dodge cummins 5.9L fuel injectors, OEM Turbo for Dodge Cummins 6.7L Diesel and more diesel repair parts and services than we can list.